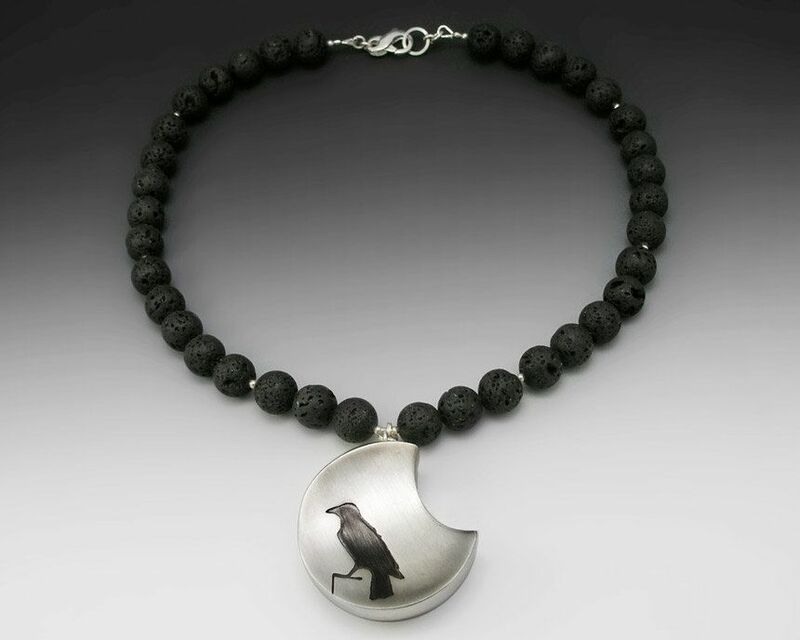 Ravens are central to the mythologies of many cultures. They hold various symbolic associations, from the harbinger of death to the creator of the world. Here in central Alaska ravens are everywhere. They have an amazingly complex social structure and produce the most intricate vocalizations of any songbird. I think the dripping water sound that they make is my favorite. 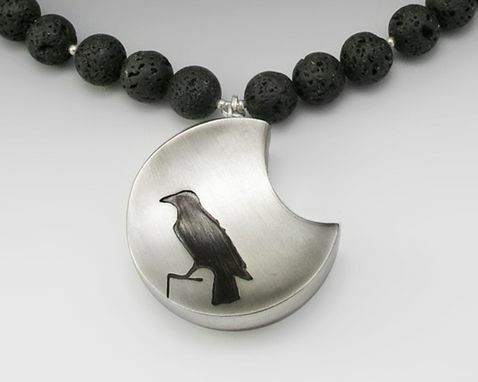 This necklace is hollow formed from sterling sheet, so it is very light and comfortable. 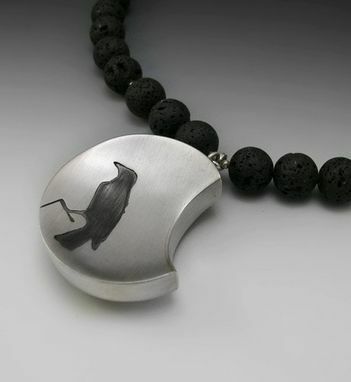 The pendant has a 1 1/2" diameter. It hangs on an 18" strand of lava beads with silver accents and has a hooked toggle clasp.